The climate for start-ups is notoriously competitive. With so many small businesses competing for marketshare, it takes a truly exceptional business model to rise to the top. Unfortunately, if your books are not in good shape, you might find yourself in a position where you need to do a lot of catch up work if you need to file taxes, apply for loans, or pitch to investors. The use of cloud-based accounting software brings significant efficiency to this historically mundane and tedious task. Below are five reasons why your startup should adopt cloud-based accounting software today. With a large volume of receipts and transactions, handling accounting for a fast-growing business can be a significant undertaking, particularly when you’re busy cultivating your business. Cloud-based accounting software makes this Herculean task less daunting through the connected app ecosystem that enables you to find the right tool to solve your specific business problems, while pushing important accounting related data into the accounting system. You are able to integrate expense management tools such as Receipt Bank which automates a majority of manual data entry using Optical Character Recognition technology. This is especially great if you are finding yourself drowning in credit card receipts. Once pushed into the accounting system, the receipt is maintained in the cloud, acting as your digital filing cabinet so that you can throw away the receipt. For all business owners that we speak to, cash management is top of mind. If you have not yet modernized your invoicing process and you are still handling invoicing by hand or in a system that is not integrated with your accounting system, it is time to make a change. Without an integrated invoicing system, you will find that either you or your bookkeeper needs to duplicate invoices into the accounting system. Very importantly, you might not have a pulse on your accounts receivable which directly impacts cash flow. Cloud-based accounting software can help you collect the cash you’re owed through automated invoice reminders. Furthermore, you can automate invoicing for recurring transactions so that you can put some or all of your invoicing on auto-pilot. Paper records get lost, misplaced, or damaged quite easily, ruining the integrity of your business data. With a cloud-based system, you have the opportunity to go completely paperless, putting all of your important information at your fingertips at all times. Gone are the days of shuffling through files and searching in vain for old reports; instead, everything you need can be accessed or generated in just a few clicks. By going paperless, you can also save money for your startup during those lean early days, reducing the cash spent on toner, paper, and filing space in favor of more valuable resources instrumental to your success. For a start-up, the ability to scale is critically important. The only direction for a new business to go is up, and successful start-ups often have sights set high. Accordingly, all resources and tools need to be capable of rapid expansion. Cloud-based accounting software is extremely scalable, meeting your needs today and expanding to accommodate your growth tomorrow. Most major software products, like QuickBooks Online and Xero, are intended to provide functionality for small businesses while still offering more sophisticated analytics and reporting options that are better suited to scaling your operations. Cloud-based accounting software has a lot of benefits, but the ability to access ledgers and reports from anywhere is among the most valuable. Instead of existing as a program downloaded to a local server, you can log in from any location, on any device, whenever you want. With a majority of CIOs and IT directors choosing cloud-based software for its operational agility, keeping your books in the cloud makes business fast and easy. In addition, remote access allows you to create a seamless partnership with outsourced accounting resources without surrendering control of your books. Should you choose to turn to third-party assistance to better manage your finances without the steep investment that accompanies in-house pros, your cloud-based program makes it simple to pass on the reins. Making the right choices for your growing business isn’t always easy. However, the right software can make all the difference. By selecting a cloud-based option, you can support your startup from anywhere, enhancing your processes and improving your chances of success. 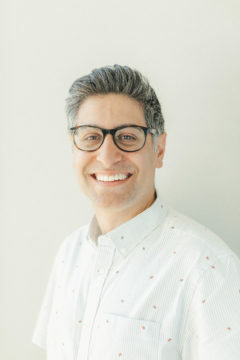 Omar Visram is the Founder and CEO of Enkel Backoffice Solutions, a Vancouver-based bookkeeping firm that provides day-to-day bookkeeping services for business owners. Enkel strives to provide business owners with bookkeeping support and insightful information that can be used to make better business decisions.